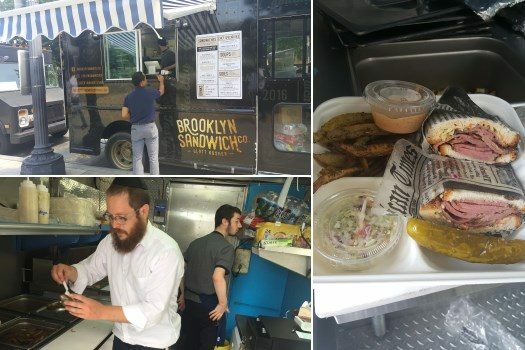 Shliach’s Kosher Sandwich Truck a Hit in D.C.
District professionals are by now accustomed to the daily throng of food trucks that lines the city streets, from Farragut Square to the National Mall. But on July 5, among the hot dogs and Greek gyros, the lunch-goers were presented with a new option: DC’s first full-time kosher food truck. Brooklyn Sandwich Co. is the brainchild of Rabbi Yudi Steiner, director of Jewish Colonials Chabad at George Washington University. But the operation could not have been made a reality without the relentless drive of rising GW sophomore Carly Meisel. 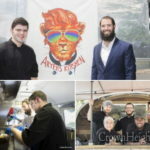 For years, Steiner had dreamed of starting a kosher food truck—a dream born of necessity when the university removed the majority of kosher food options on campus about five years ago. 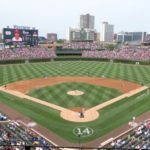 The original plan was to have an alumnus fund the project and find a third person to oversee day-to-day operations. But because he never found someone to operate the truck, he abandoned the idea—until he met Meisel. 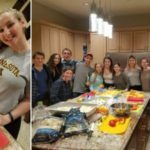 Meisel, an observant Jew from Newton, Mass., connected with Steiner through mutual family friends before beginning her freshman year to discuss maintaining her Jewish life at college. The hardest part, Steiner told her, would be finding kosher food to eat. Click here to continue reading at Moment Magazine. he can teach all who are being abused ruthlessly (by a certain loving family) to stand strong and the hurricane will pass…and you will only come out stronger!